On March 11, 2011, Japan was struck by a series of disasters including a 9.0 magnitude earthquake, a tsunami that devastated the northeast coast of Honshū, and the meltdown of the Fukushima Daiichi nuclear power plant. This paper investigates the stakes involved in attempting to respond to stories in the aftermath of these devastating events. Through a discussion of Ruth Ozeki’s A Tale for the Time Being (2013), read as a novel about not knowing, it underlines how stories that are apprehended in Canada are not limited to Canadian stories alone. It suggests that reading Ozeki’s novel can foreground some of the ways we might take on, from our various locations, the fraught and difficult task of imagining lives of figures who are not present. Guy Beauregard is an associate professor at National Taiwan University and a collaborating member of the SIAAS collective. 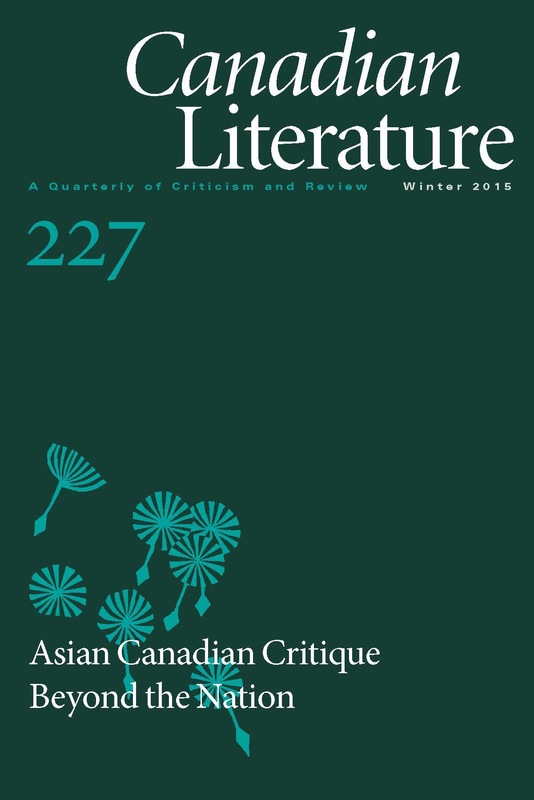 Over the past decade, his work has appeared in Amerasia Journal, Canadian Literature, Concentric, International Journal of Canadian Studies, Studies in Canadian Literature, Tamkang Review, and West Coast Line.